We are pleased to present this .950 platinum milgrain band at pricing more affordable than ever! 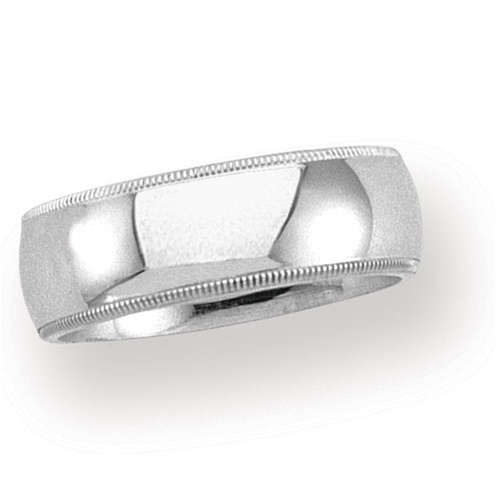 For those of you who love platinum, this rich 8mm ring is perfect for you. Adding a slight twist to the classic dome, the milgrain style still stands timeless and looks wonderful forever.